One of the biggest perks/benefits to our Investor community is finding, networking and working with other investors, vendors, services, tools, building your buyers list, and locating contractors that we can all “Trust” and feel good about recommending to others. The below list of Investor Resources is just that – a list of vendors, services, tools, contractors that you can “Trust” and not only feel comfortable with using in your business but also feel comfortable referring to others to use as well. Please share this list of Investor Resources with everyone to benefit from. Comprehensive Motivated Seller Leads Daily – The Best Lead Lists Available for Purchase in DFW! Start your 7-day free trial here and begin pulling True MLS comps in North Texas. INVESTWAY COMPS – For Investors in the Dallas, Fort Worth, Houston, and Indiana, unless you have access to MLS for your comps, you need access to a service that provides data directly from MLS and Investway is one of those services. You can pull your own COMPS data directly from MLS thru Investway. Please go to Investway and register for your 7-day free trial. Once registered, you can begin pulling TRUE comps directly from MLS and receive them in your email within minutes. The other option is to have a Realtor pull them for you but then you are relying on someone else to support you. You can also search MLS based on a variety of keywords to help locate more deals. Start your 7-day free trial today and begin pulling your True MLS comps! FASTCMA– The fastest way to get trust Texas COMPS plus, motivitaved seller lea leads i.e. pre-foreclosures, probates, tax liens, and evictions daily to your inbox. Click here https://qz270.isrefer.com/go/FASTCMA/MasterREI/ , and use Promo Code is “WestDFWREI” for 25% off for life, and it works for both FastCMA and MLS Deal Finder.Only $1.00 to start your 14-day trial. MLS DEAL FINDER – Finding discounted and rental house deals has never been easier. MLS Deal Finder offers you the fastest way to have deals delivered straight to your inbox within minutes of being listed on MLS. Use Promo Code “WestDFWREI” for 25% off on both MLS DealFinder and FastCMA. Learn more HERE how the MLS Deal Finder system works for you. Use Promo Code “WestDFWREI” for your 25% discount for life. Do you want or need to “systemize” your REI business to better manage your time and grow your business? Realeflow is the answer. Realeflow is a one-stop business management (CRM) tool for investors/agents to manage their entire business, providing all the tools necessary including, marketing, list generation & direct mail, websites with built in autoresponders, prescreening buyers and sellers, communicating, document storage, paperless office, building and managing your buyers list, email notifications, marketing your deals to your personal buyers list as well as the community of more than 100,000 Realeflow users, sms and voice messaging, and is mobile optimized, all in one package. Get your 60 Day Free Trial TODAYand be up and running in minutes and get organized and do more deals. Need help getting started with RealeFlow, give Tim a shout to learn more click the Contact Us button on our homepage and we can set a time to discuss your needs. You owe it to yourself to take a look at Realeflow’s power – free for 60 days. Investor Carrot – Get your own, best darn real estate investor websites on the planet here NOW! Need a real estate website (I recommend these). I probably get a few emails a week from fellow real estate investors asking me what real estate websites I recommend. There are lots out there… tons of different prices… tons of different features… some confusing as heck to use… some simple… some are an overkill for 90% of investors… some don’t have enough features. But, I found out about this one company a little while back…have been following them… and actually now use them myself for our own websites for our business. My thoughts… = really impressive. – The “Lead Page” generator is cool. Quickest way to create great looking squeeze pages that work that I’ve seen. Free RehabValuator Software – Download this free wholesale, pricing, and marketing software program and finally stop spinning your wheels: click HERE to download your free copy of NOW. Rehabbers:– Figure out what to pay for any property in seconds!- Analyze cash deals or ones that require financing- Figure out the best exit strategy for any property- and much more! click here to learn more and get your “No-cost” software. Nobody out there gives away software like this and it won’t be available for long! Think Realty– Want to SAVE more money on your rehabs and make your business more profitable? Investors, rehabbers, join for free and earn significant savings/discounts on all your rehab materials on places such as 84 Lumber, Sherwin Williams and many more services that we all use as real estate investors. By joining you also gain access to additional Investor Resources to help grow your business. Join us today here for free and start saving. Joint Venture Virtual Wholesaling – Whether new or seasoned in the business, take look at what Connor Steinbrook is doing with Investor Army. Connor is teaching tons of tips, tricks, and content to help you grow your business fast and the right way. Check it out HERE. WefindemYouFundem.com – Interested in investing in Real Estate? Have money to invest but no Time? Cash buyers, private lenders and/or JV partners come visit us here. WeFindemYouFundem.HighReturnRate.com – Want to learn more about our Private Lender program and how you can profit? Click the link to order your FREE CD and learn how you can profit. 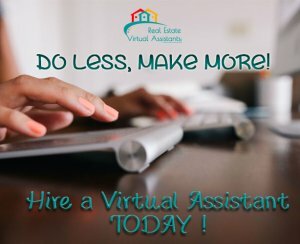 Real Estate Virtual Assistant (REVA) Services –Do Less, Make More, Hire a Personal VA Today! Are you finding it a challenge to get everything done in your business that you want/need to do to become successful, make more money, and get your time back? Hire a Virtual Assistant to Grow Your Business – Go here to learn more about our services offered or contact Tim for details TODAY! NOTE: Our VAs are also trained on managing your RealeFlow account as well so you can spend more time on tasks that make money. You may also call (817) 768-7618 to listen to our free recorded info-line to learn more. Like what you hear? Leave a message if we don’t answer and we’ll get right back to you. TradeCash4Houses.com – Need More Deals? Add yourself to our new automate Buyers List here to receive new hot deals in your area. NOTE: Our system must have cities and state you want to buy in so be sure to leave us that or ZIP codes to receive the best deals. Be sure to opt-in to TEXT and/or VOICE messaging to receive the fastest notifications. EmpowerU2.WhyAmbitWorks.com – Earn true passive income helping others save money on their utility bills in 17 states, Japan and Canada. EmpowerU2.GoAmbit.com – Earn true passive income helping others save money on their utility bills in17 states, Japan and Canada. I can show you how to profit off every house you buy, sell, or rent for a very nice passive income. Ask me how. Contact me to learn more! GetFreeElectricityToday.com – Learn how to save up to 10% to 30% off your electric and natural gas bills in 17 states, Japan and Canada today and expanding, and you can also earn FREE electricity and gas for Life! Landlords, why not earn your electricity and natural gas for free from all your rentals? Do the math on free-for-life. Ask Tim How! Click2Mail.com – Do your own postcard and letter mailings CHEAP! Own A Texas Home – Why rent when you can own? At Own A Texas Home we specialize in helping families STOP throwing their hard earned money away on rent and help them purchase the home of their dreams. We don’t care much about credit – if you have a reasonable down payment and can afford the home we can help. Come visit us today! If you have a buyer for one of our homes, let’s connect and both make some money. In order to be successful in your REI business, there are many tasks that need to be tracked in detail to ensure success. There are also many tools available to you for planning and tracking, each having various features, pros and cons. Tools such as Basecamp, Trelio, Outlook, Asana each have different capabilities. We’ve tried them all and we have settled on Asana.com. It’s free, it’s powerful, easy to use, and there’s an app for your smart devices. Check it out at Asana.com. Texas Property Tax Assistance – Learn anything and everything about your property taxes HERE. Business Phone System – Are you looking for a powerful business phone system at an affordable rate? Vonage Business is just that. I’ve been using Vonage Business for 8-10 years now because of the affordable costs, the flexibility of the system and the ability to expand easily as your team grows, and the phone app and being able to take calls on your cell phone while out of the office. Take a look HERE and see what you think. Skip Tracer – For those hard to find sellers/owners I recommend you use Find The Seller. They are very reasonable and good at what they do. This can be used to locate your sellers but also if you have a tenant buyer move out on you this may help as well. Title Company – If you need a great title co for closing your deals and are in the Dallas Fort Worth area, I highly recommend you use Texas Secure Title Co in Fort Worth. Call Martin Garcia at (817) 519-8800 and tell him Tim sent you. West DFW REI Group -If you live in the Dallas Fort Worth area, please visit us the first Saturday of each month in West Fort Worth to network, sell your deals, and learn the real estate investing business. Bring your questions, deals and lots of business cards and let’s make some money together. For details and registration go to www.Meetup.com/West-DFW-REI-Group TODAY! I look forward to meeting, networking, and making some $$$$ together. Register NOW! On a “time available” basis I offer Mentoring to new and seasoned investors. To learn more contact me for details by clicking on the Contact Us button on our homepage and we can set a time to discuss your needs. Need help but don’t feel you need weekly or monthly mentoring? I offer Consulting on an hourly/job basis. This works really well for walking thru your first deal or your first rehab to help you get a good understanding of what I would do if I were to rehab the house. Contact me to discuss your needs today. Please “Friend“, “LIKE“, “Follow” and “Subscribe” and contribute to the discussions and we’ll do the same for you. Not seeing what you are looking for, give me a call. Being in the business since the year 2000 we have accumulated tons of Investor website resources that we may share if asked for. Call Tim at (817) 550-5069 Opt# 8 and I’ll do my best to help you get what you need.